With our experience in decking and alfresco design and construction, we pride ourselves on quality, rather than quantity. Don’t you wish you had a comfortable and great deck to enjoy the warm summer evening? Do you have a cool space to socialise and entertain your guests? Decking serves as a great way to extend the inside of your home all the way to the outside so that you can have the much needed extra space. Moreover, if your outside space has an uneven ground or is unfit for planting, you can surely have a beautiful deck to add a charm to you property in Perth, WA. Whether it’s a casual outdoor entertaining area or a complete pool enclosure with outdoor kitchen, our deck builders are here to help. Landscapes WA is a business, built on strong foundations that are made to last. By adding a timber deck or alfresco area to a home, you will not only enhance its appearance but also add considerable value and living space. 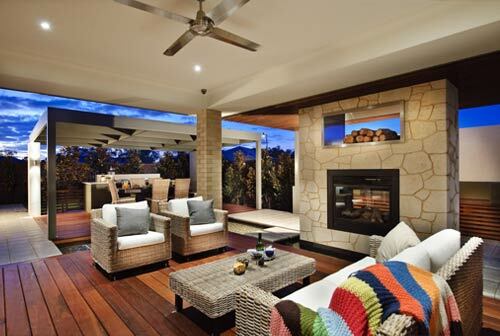 Landscapes WA creates relaxing retreat areas for families to enjoy together by combining timber decks, tiled patios, timber verandas and pergolas. Its time to realise the true potential of your garden with beautiful outdoor timber decks. If you have a picture in mind, share with us how you want your garden to be and we will design it in an even better way.